5th sentence, 74th page: She ran a hand through her hair so that it fairly sparkled. We’ve all heard story about changelings… but what happens when you think you’ve got one and can’t find a way to prove it? For some ridiculous reason, I was kind of expecting a happy ending to this tale. One for the children, the changelings and one for the mother. It didn’t end like that. And, since this is in a collection of very adult fairy tales, I really, really shouldn’t have been surprised. 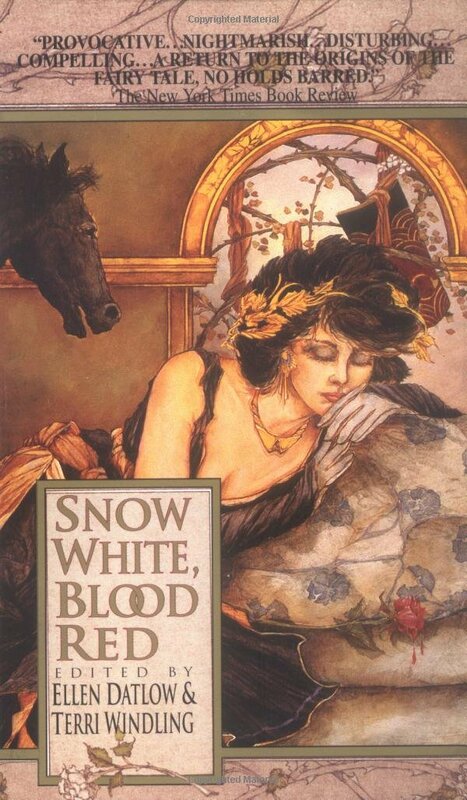 All of the fairy tales in this collection have made me feel uncomfortable in one way or another. This story was no different, and although I loved it, I still felt that I needed to walk away from the dark fairy tales for a little while.